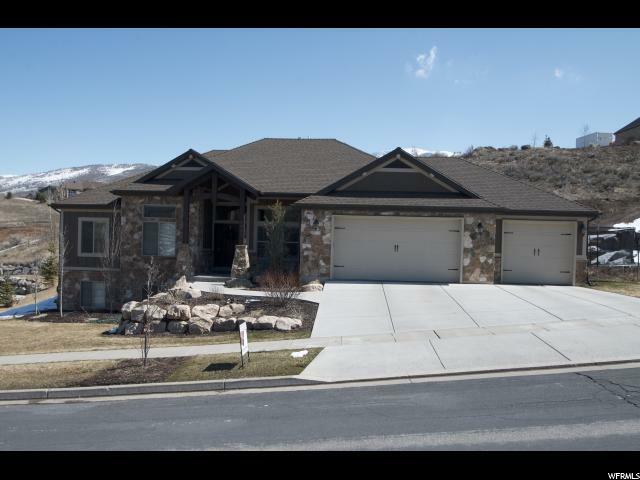 All Mountain Green homes currently listed for sale in Mountain Green as of 04/25/2019 are shown below. You can change the search criteria at any time by pressing the 'Change Search' button below. If you have any questions or you would like more information about any Mountain Green homes for sale or other Mountain Green real estate, please contact us and one of our knowledgeable Mountain Green REALTORS® would be pleased to assist you. "Luxurious custom built home that sits on .54 acres! Enjoy No HOA and the panoramic views right outside your doorstep. Home features a spacious and open floor plan, plenty of windows allowing for a lot of natural lighting, 8 foot main door, large great room with gas fireplace and tall vaulted ceilings, hardwood and stone flooring throughout, big kitchen with stainless steel appliances, custom cabinetry, and hidden pantry, main floor and second floor laundry rooms, over-sized master retreat with separate tub/shower and massive walk-in closet, large office/den area on second floor, 2 furnaces, 2 A/C units, most rooms have walk-in closets, fully finished daylight basement with a second kitchen and exercise room, covered deck overlooking the gorgeous landscaping and waterfall in the fully fence backyard, large patio just off the deck providing more room for entertaining, and a huge fully finished 4-car garage with epoxy floors. Sq. footage per tax data records; Buyer to verify all information. " "The combination of exquisite design, top quality construction and luxurious appointments unite to create this masterpiece! From the moment you enter, you will be awestruck by the floor to ceiling windows in the stairway, shiplap, crown molding, custom built-ins and high tray ceilings throughout the main level. The seamless flow from the family room to the kitchen provides abundant entertaining space for guests and family. The well-appointed kitchen boasts an Aga Elise professional range, separate refrigerator and freezer, a generous pantry, and Bespoke custom cabinetry all anchored by a Callacutta Vagli marble 9' island. The great room flows to the large covered back porch where you are sure to enjoy the serenity of the private covered deck and yard that opens to nature and a mountain backdrop. Retreat to your private master suite with its own fireplace and sitting area, generous floor to ceiling windows, and built in bookcase. One ensuite guest bedroom located on the main and an additional ensuite bedroom on the lower level are complimented by two additional bedrooms on the lower level. The spacious family room in the lower level takes center stage and is complimented by a home theater and wet bar. This home must be seen to be appreciated! Minutes to Snowbasin ski resort, less than an hour to Park City and Salt Lake International Airport. " "Do not miss out on this gorgeous home! Custom cabinets, laundry room on the main level and another in the basement, theatre room, workout/craft room, gas line hookups on the patio for a BBQ grill, and a pond less waterfall in the backyard. Come and take a look, we are sure you will fall in love with this home. " "Shows like a model! 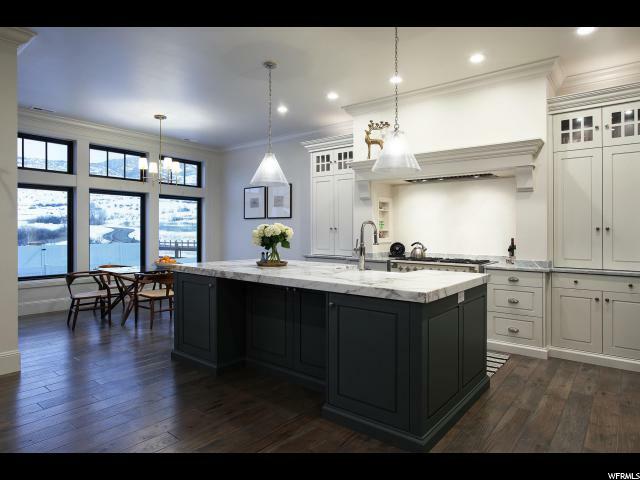 The chef's kitchen includes a massive island with gorgeous quartz counters, beautiful subway tile backsplash, custom built-ins, and stainless steel appliances. Entertaining will be a breeze in this open floor plan with the great room off the kitchen featuring a beautiful fireplace. You'll enjoy plenty of daylight from the many windows and take in the lovely views of the surrounding mountains and area. The upstairs master suite features a beautiful bathroom with double sinks, a separate tub and shower and good-sized walk-in closet. In addition to two other bedrooms, the upstairs has a great sized loft area for an office or gathering space. Downstairs has a finished bedroom and workshop for your tinkering needs, and allows lots of space for future growth. The covered deck and fully fenced yard allow for enjoyable evenings in the shady backyard. The gazebo and shed are added bonuses and both have power. To top it off, there is RV parking in addition to the spacious 3 car garage. This one really checks all of the boxes! Come see it today!" 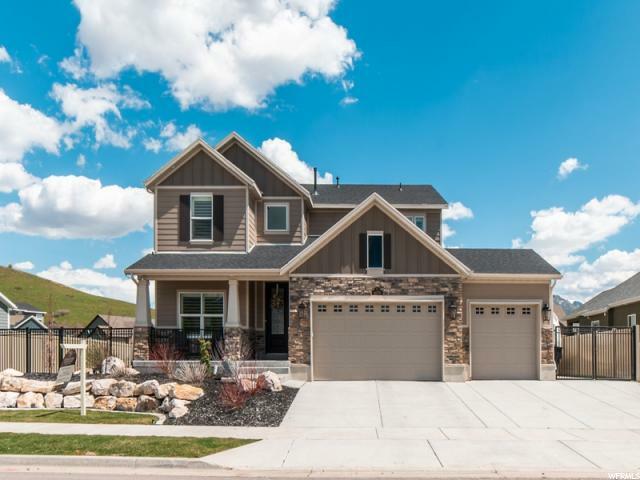 "(photos are of like property) Beautiful Whisper Ridge Subdivision- Mckenzie ll model - 3 car garage- main floor living - open floor plan with room to grow down stairs - wonderful mountain setting!! We have great finishes for you to choose from (granite, tile, craftsman, etc) Pick your colors for you dream home! Summer: Monday- Friday 12-7 & Saturday 11-5 Winter: Monday- Friday 12- Dusk & Saturday 11-4"
"BEAUTIFUL Whisper Ridge Mckenzie 2 floor plan! 3 car garage! Main Living"
"Best views in Mountain Green! 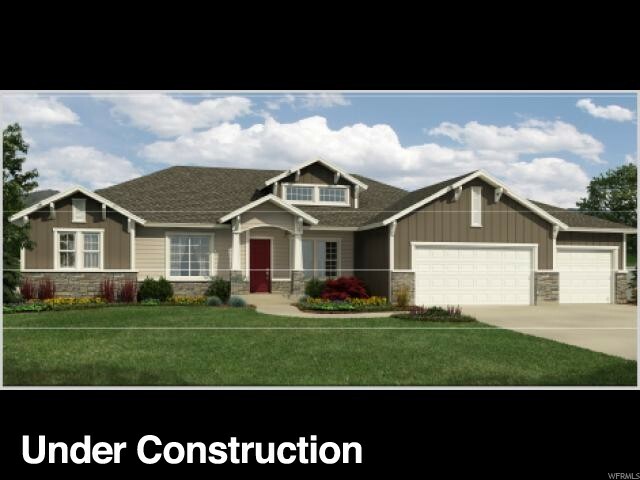 You'll fall in love with this freshly remodeled home and it's .54 acre corner lot location. Home features granite, vaulted ceilings, and beautiful 3-toned paint. 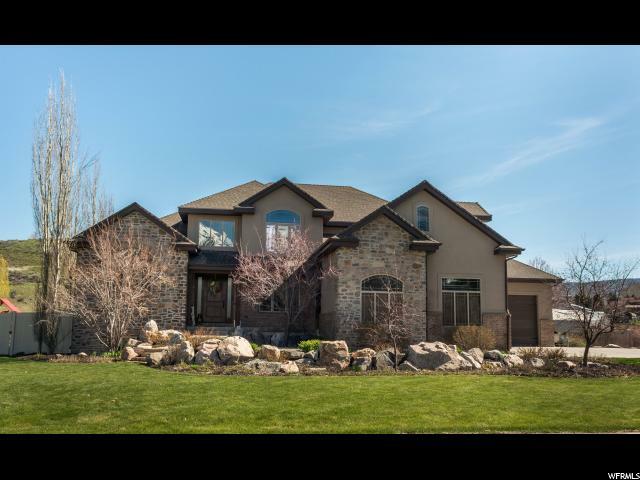 Home is conveniently located just minutes away from ski resorts, outdoor recreation and is just minutes to Ogden and Hill Air Force Base. This home won't last long, so make it yours today. "